Fresher, longer lasting produce. We're on your way home! This is one of our amazing owners Laura . 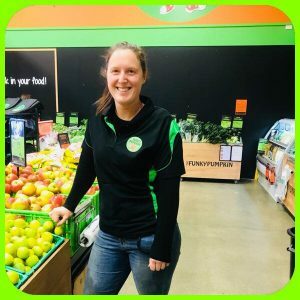 She grew up on this side of town and moved out to North Canterbury 10 years ago to start up a fruit and vege shop out there which she ran with her husband for ten years. Her nick name is Pocket Rocket . Mother of two and volunteer fire fighter in North Canterbury . Everyone loves working with her due to her ideas and speed she works at . You can see the smoke coming off her own feet !! She is the fun in Funky and loves being on the floor stocking and serving customers on the tills . Thanks for being such a inspiration as an owner and a caring boss to us all . b) jump on opportunities when they come up. This is why our specials may change on a regular basis sometimes daily. We buy fresh product every day and it basically comes in and goes straight out into the shop that day and into your baskets. This is how we maintain such fresh product. 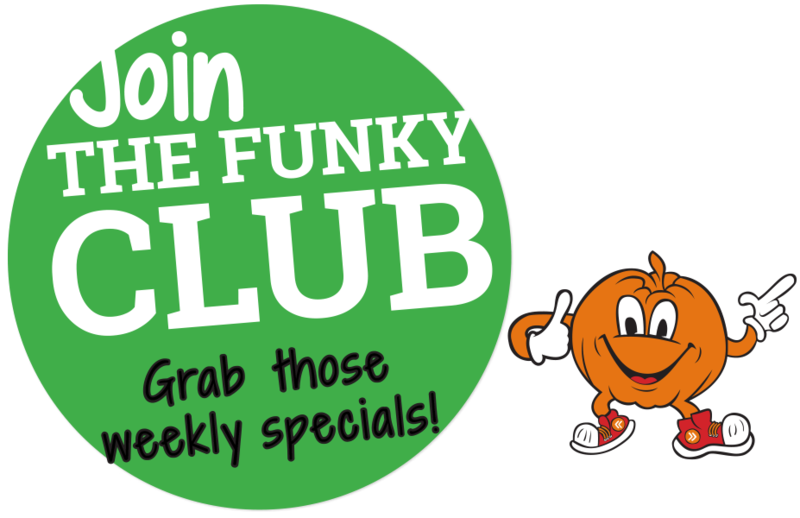 When you shop at the Funky Pumpkin you are not putting money in the pockets of corporate companies but supporting a local Canterbury family. Hey ‘Pocket Rocket’ LOL Your fellow QFF Tui here. Coming to ChCh Sunday and want to come buy some of YOUR goods. Will you be around or home with the Family? Hey Chick, awesome! Could be either depending on the time of day and how the week goes. Chance are ill be at work in town in the morning and probably at home in the arvo. Either way would love to catch up! Do you come through Woodend? Flick me a message on messenger and if I’m in town ill catch you at work and If i’m at home you should call in for a coffee/beer. © 2019 Funky Pumpkin Ltd | RocketWeb - a product of Pinnacle&Co. Ltd.